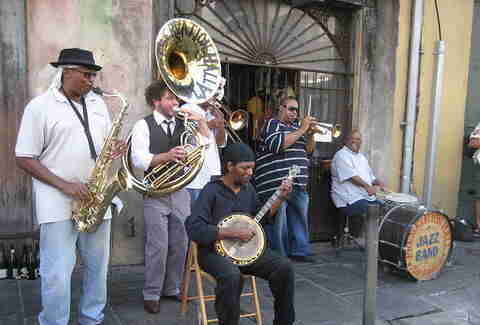 If New Orleans is the Holy Land of American music, consider Preservation Hall the Vatican, the Temple Mount, and Kanye West's house all rolled into one. 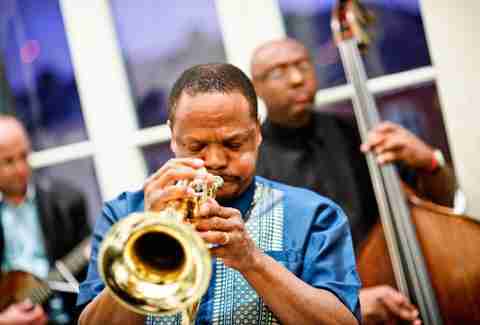 Founded by the late, great sousaphone player Allan Jaffe in 1961, the Hall has preserved NOLA's traditional jazz music for over four decades. Today, the legacy is continued by his son Ben Jaffe, the current creative director at the Hall and sousaphone player for the Preservation Hall Jazz Band. Concerts held nightly at 8pm, $15 at the door and all ages welcome. No flash photography or cell phone use during the show allowed. 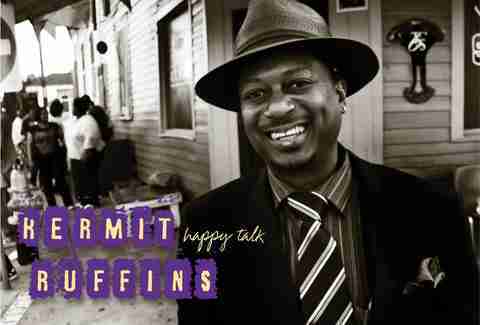 Famous for his role in forming the Rebirth Brass Band and for his skill with a BBQ pit, Kermit Ruffins is also the owner of two music clubs in the Tremé (the other is the Mother-In-Law Lounge). Located on the iconic Basin St, the Speakeasy is where people are still gonna be thanks to the man's mix of soul food (Southern fried catfish, and the red beans & rice are amazing) & live music offered daily. Kermit himself plays every Sunday and Monday, but don’t come here if you’re looking to burn the midnight oil because the enigmatic trumpeter has publicly stepped down from late night shows. Open 12-8pm daily except Tuesdays. Kermit plays free shows from 6-730pm Sunday and Mondays. Perhaps no other venue on this list captures the romanticized ideal of the New Orleans experience better than the Three Muses on Frenchmen St. 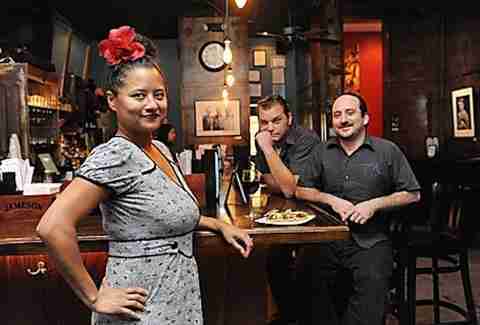 Owned in part by singer Miss Sophie Lee, this where you go to see a four- or five-piece ensemble under the glow of Edison bulbs while you dine on lamb sliders and sip orange blossom Sazeracs. Get there early, though as it's first come, first served and the room fills up fast. Open Wednesday-Monday, 5pm-'til. Kitchen open until 11pm Friday & Saturday, 10pm every other day. Stop me if you heard this one before: a death metal singer co-owns a bar in New Orleans that becomes famous for a Thursday night house party put on by a hip-hop/brass band hybrid. Because that’s the story of Le Bon Temps Roulé. 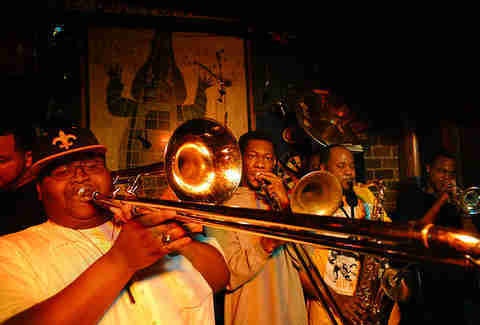 This Uptown bar is co-owned by lead singer Philip Anselmo and it’s where the renowned Soul Rebels Brass Band calls home. Half neighborhood bar and half music club (split between the front and back rooms), Thursdays are the most crowded nights, but on Fridays, live music is served with a side of free oysters. Open 5pm-2am daily. Covers vary by artist. Bourbon St used to be where to find great local jazz in New Orleans, but it's now mostly populated by strip clubs and horrific excuses for dance halls -- Irvin Mayfield’s Jazz Playhouse in the Royal Sonesta Hotel is a notable exception. A hotel jazz bar in the classic sense (the dim lighting and lavish furniture really set the mood) the Playhouse is open nightly and hosts free midnight shows on Fridays and Saturdays. 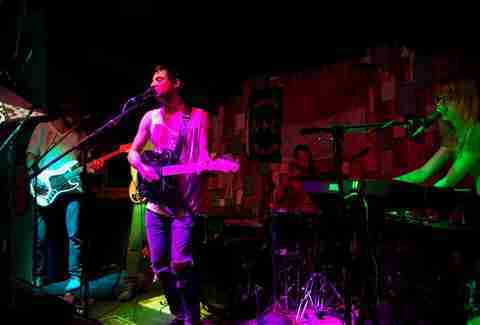 For audio-visual stimulation, there’s no place that does it better than Gasa Gasa on Freret St. This venue is part-owned by a drummer and boasts the coolest paint job of any club in New Orleans. Once you’re inside, it only gets better where you’ll find an acoustically fine-tuned venue with a healthy choice of 'tails (their Four Roses Old Fashioned is a pretty solid option) and a rotating collection of art on the walls. If that’s not enough, there’s a projection mapping system that trippily plays during live shows. Open daily at 5pm. Cover varies by artist. The late great R&B singer legacy lives on in this Tremé bar named after one of his greatest hits. 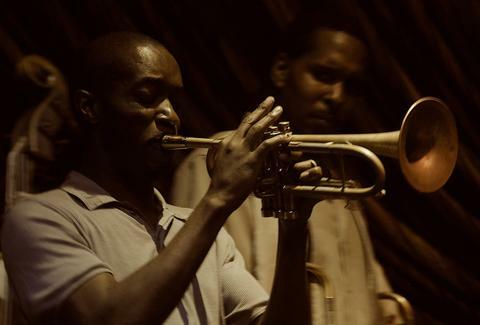 Recently opened with the support of his progeny Troy “Trombone Shorty” Andrews and his older brother, trumpeter James Andrews, who use the bar as a home base, this is a neighborhood bar more than anything. It just so happens the regulars that come in to shoot the breeze are also incredible musicians, and at night they bring their friends over to play. What a happy coincidence! Open daily at 10am. No cover.